whistle. He saw the top of the whistle protruding from the top of a brown paper bag and asked me if I had heard any South African penny-whistle. He urged me to seek some out as he had heard some excellent music there in the 1960s & ’70s. To cut a long story short I found this site and have used the links & materials here to some benefit. I would like to add some info that you may find useful. 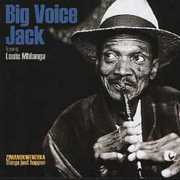 I have found videos that feature Spokes Mashiyane (both sax & whistle)& Big Voice Jack soundtracks on youtube.